When tragedy occurs, you need to have total confidence in the safety system you rely on. 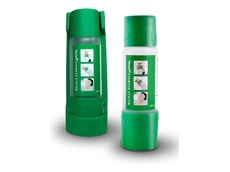 Enware has a range of Enware’s Eye Wash and Eye/ Face Wash’s that will help save the day when you need it most. Enware’s unique VERTECH™ Technology maximises flushing effectiveness and comfort for the eyes and face, this technology has been designed to create a Zero Velocity point. 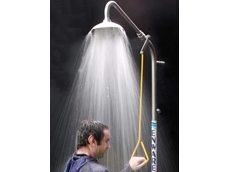 The reduced water velocity is gentle and effective, allowing a greater amount of time in the flushing zone, which is important especially when cleansing the sensitive eyeballs from hazardous materials. 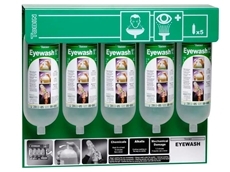 Enware Eye Wash and Eye/ Face Wash’s are available with various features such as, hand operated, foot operated, wall mounted, floor mounted, with bowl or without. 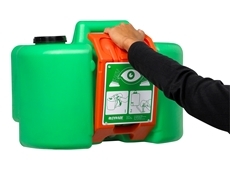 01/11/17 - Enware Australia has added a new eyewash system to their range of portable safety solutions. 09/08/17 - An accident at the workplace can have serious implications on the safety of workers. 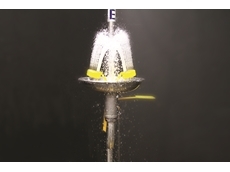 24/10/16 - Tobin eyewash solutions from Enware Australia are specifically designed to provide quick and efficient relief to the eyes when exposed to chemicals. 11/10/16 - Enware has designed its emergency systems to swiftly deliver an effective response. 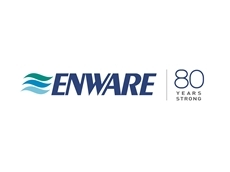 09/03/16 - Emergency systems from Enware are helping several industries ensure safety for their workers on-site in the event of exposure to hazardous contaminants.